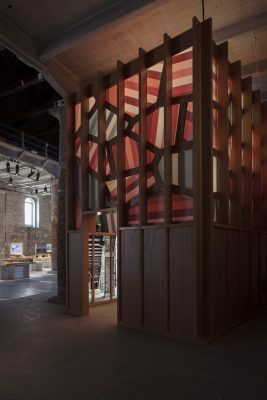 The installation by Sauerbruch Hutton at the 16th International Architecture Exhibition – La Biennale di Venezia, FREESPACE , curated by Yvonne Farrell and Shelley McNamara, is a small space enclosed by a timber framework placed amongst the monumental structure of the Corderie. 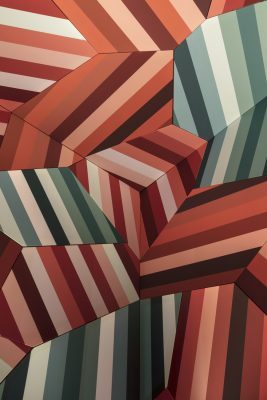 While its lower part is opaque, its upper section, where a pattern of coloured weaves counters the strict geometry of the frame, radiates a seductive glow. Inside, the colour treatment seems to explode the physical confi nes and large black and white photographs below similarly appear to expand the space. 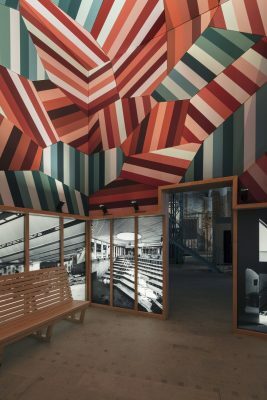 The installation condenses the architectural themes of Sauerbruch Hutton’s M9 Museum District in Venice Mestre. Adding contemporary interventions to the palimpsest of Mestre’s centre, M9 offers a new type of curated public domain that inspires synergies between cultural, social and commercial activities. 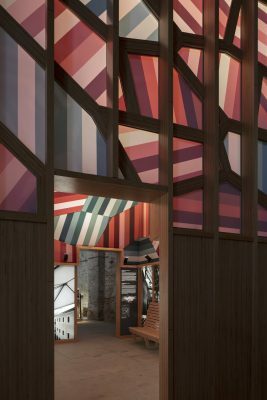 Primarily defi ned by volumetric composition, the spaces of M9 are informed through their material and chromatic presence, actively engaging the visitor in a play between visual perception and haptic reality. 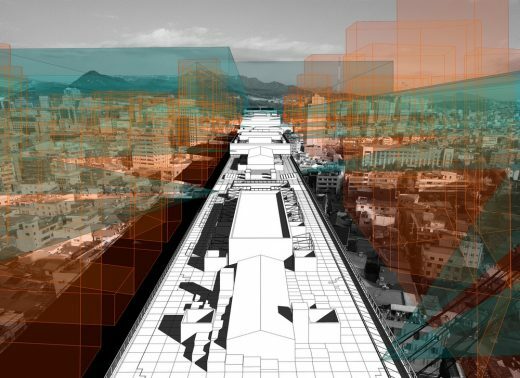 For M9 freespace is a liminal zone between the public and the private spheres that offers itself for occupation. Sauerbruch Hutton’s architecture provides amenity and specifi c atmospheres. Liberating in intent, it still never betrays the fundamentally limiting act of construction. Thus the oxymoron of freespace catches an essential condition of their architectural practice. The M9 museum district comprises seven buildings and includes a converted 16th century convent, a 1970s offi ce structure and a new museum for the history of the 20th century in Italy. 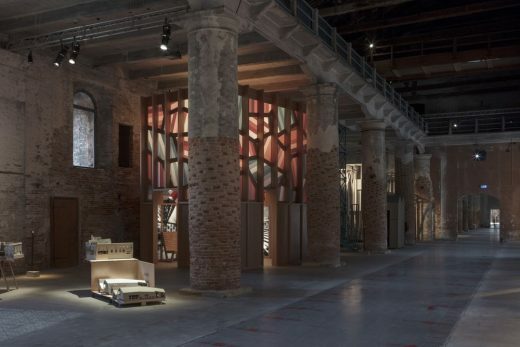 An agent of urban renewal, it will help to redress the disparity of cultural wealth between Mestre and the historic centre of Venice across the lagoon. Opening up a central stretch of land that was formerly occupied by military institutions, the district offers a number of new public spaces. A network of pedestrian links that characterise the neighbourhood lead to a new piazzetta and the weather protected courtyard of the former convent, embedding the quarter into Mestre’s urban tissue. Further, a public lecture hall, restaurant, shop and mediatheque on the ground ﬂ oor of the new building extend the public realm into the museum. A dramatic staircase draws one up into the realm of exhibitions. Sauerbruch Hutton is an international agency for architecture, urbanism and design, founded by Louisa Hutton and Matthias Sauerbruch in 1989. 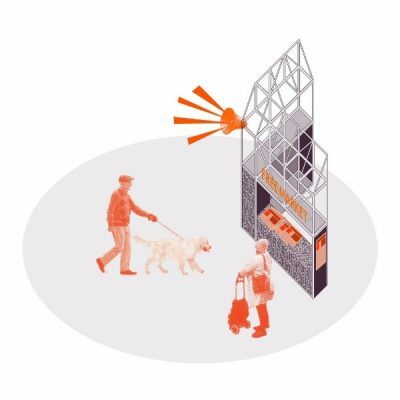 The practice has been recognised for its long-term engagement with and expertise in sustainable architecture. 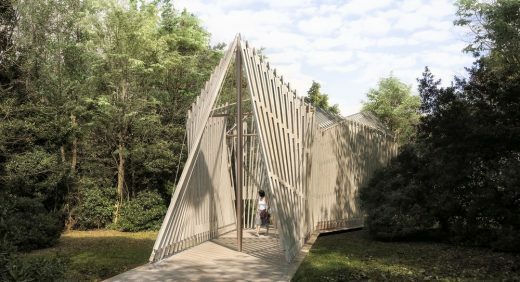 Its integrated design approach aims for an architecture that combines ecological performance with intuition and sensuality. Among its award-winning projects are the GSW Headquarters in Berlin, the Brandhorst Museum in Munich and the Federal Environmental Agency in Dessau, all benchmarks for sustainable design. The 80-strong team in Berlin is currently working on a number of projects throughout Europe and Latin America, including the M9 Museum of the 20th Century in Venice. Sauerbruch Hutton received the Erich Schelling Prize 1998, the Fritz Schumacher Prize for Architecture 2003, the Premio de Honor Internacional 2010 and the Gottfried-Semper-Preis 2013. Their KfW high-rise in Frankfurt was awarded the best Tall Building Worldwide in 2011, and their Immanuel Church in Cologne received the German Architecture Prize in 2015. Matthias Sauerbruch, born 1955 in Constance, Germany, is an architect and founding partner of Sauerbruch Hutton. He held professorships at Technische Universität Berlin and Stuttgart Akademie der Bildenden Künste and was a visiting professor at Harvard Graduate School of Design as well as at Universität der Künste Berlin. 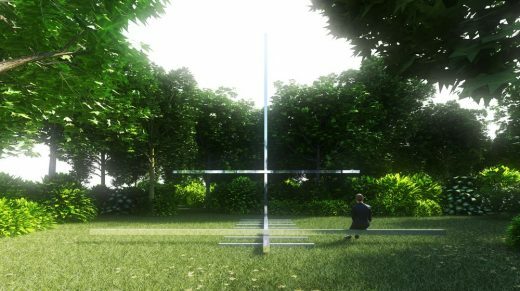 He is a founding member of the German Sustainable Building Council, a commissioner of the Munich Stadtgestaltungskommission and part of the Executive Board of KW Institute for Contemporary Art Berlin. 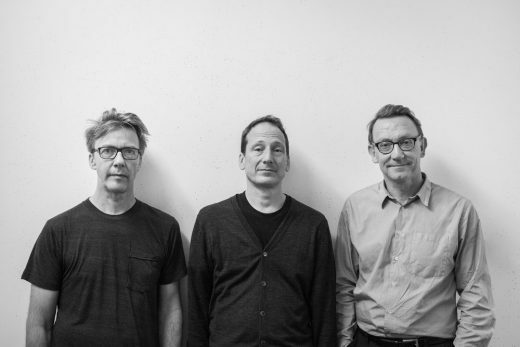 Matthias Sauerbruch is an Honorary Fellow of the American Institute of Architects and Director of the Architecture Section of the Berlin Akademie der Künste. Louisa Hutton, born 1957 in Norwich, UK, is an architect and founding partner of Sauerbruch Hutton. She was a visiting professor at Harvard Graduate School of Design, previrously taught at the Architectural Association in London and was external examiner at various universities in the UK. Louisa Hutton is a member of the Curatorial Board of the Schelling Architecture Foundation, and was a Commissioner at CABE as well as a member of the first Steering Committee for Germany’s Bundesstiftung Baukultur. She is an Honorary Fellow of the American Institute of Architects and a Royal Academician of Arts. Juan Lucas Young, born 1963 in Buenos Aires, Argentina, is an architect and director of Sauerbruch Hutton. He joined Matthias Sauerbruch and Louisa Hutton in 1990 as part of the winning team for the GSW Headquarters competition, for which he was subsequently project architect. Since 1999 Juan Lucas is partner at Sauerbruch Hutton and responsible for the overall management of all projects. Juan Lucas Young lectures at numerous institutions and regularly participates in congresses and conferences worldwide.